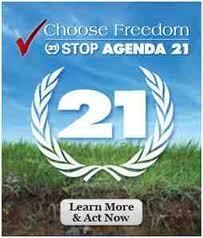 After hiding under the radar for more than 19 years, Agenda 21 became the cause of 2011 as thousands of concerned Americans began to study United Nations documents side – by – side with their local comprehensive development plans. To the horror of most, they found identical language – and the battle was on. Fighting Back - The battle to stop Agenda 21 in local communities and in state legislatures has taken several varied but effective paths. 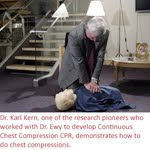 In my travels to speak to more than 38 groups in 12 states in 2011, I have been privilege to meet and work with some of the most amazing activists I’ve even encountered. I’ve also been able to meet with state legislators in four states, along with a large number of county commissioners and city councilmen – all eager to learn about Agenda 21 and how to stop it. Here are some of the results of their work in countering the massive power of those enforcing Agenda 21 across the nation: Communities Leaving ICLEI - It started last January, 2011 in Carroll County, Maryland, as the newly elected Board of Commissioners, led by Richard Rothschild, voted to cancel the county’s membership in the International Council for Local Environmental Initiatives (ICLEI). At the same time the Commission also terminated the contract of the county’s sustainable development director, and they sent the county planning commission back to the drawing board for the state-mandated comprehensive development plan – with instructions to not resubmit it until it protected private property rights and complied with the U.S, Constitution. Little did these new commissioners know, they were at the head of a tidal wave that was about to sweep the nation. Following Carroll County, next came Amador County, California, as the county commissioners voted to end their membership in ICLEI; then came Montgomery County, PA; followed by Edmond, Oklahoma, Las Cruces, New Mexico. 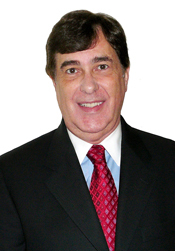 The successful battle against ICLEI in Spartanburg, South Carolina was sparked by County Commissioner Roger Nutt; Virginia became a hotbed of activity against Agenda 21 and ICLEI, especially through the efforts of activists like Donna Holt, Cathy Turner and Charles Battig, to name a few. As a result of their efforts, Albemarle County, Virginia (home of Thomas Jefferson), James City County, Virginia (where America basically started at James Town), Abington, Virginia and Lexington, Virginia, have all voted to throw ICLEI out; we can now add to this list Plantation. 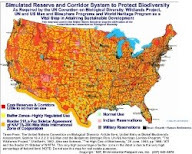 Read more.......... AW: This article is very detailed, please read what is occurring all over the U.S. by citizens who are protecting their private property rights, from ICLEI and Agenda 21, and other sustainability programs.